Do you have a few lamps in your home that could use a little pizzaz? Maybe you have a great lamp base but the shade is just boring and blah? 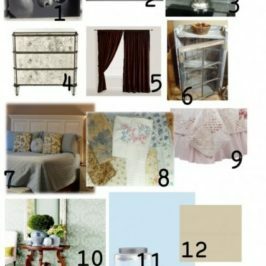 Today I am going to show you a few simple ways to decorate a plain lampshade. These decorating tricks will give your naked lampshades a whole new look and feel. 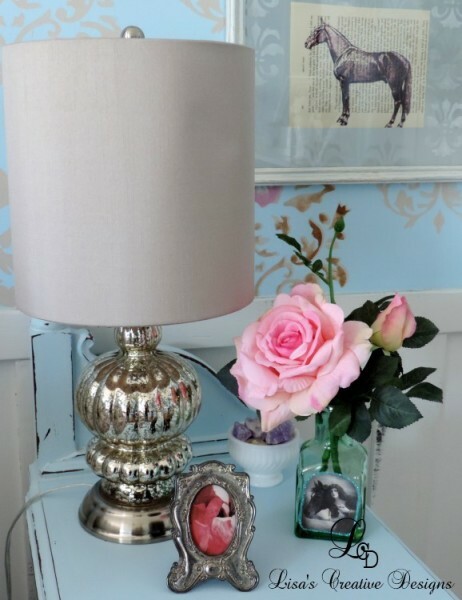 When redecorating my master bedroom I got a set of mercury glass lamps from T.J. Maxx for the nightstands.They sat in boxes for months until my master was ready for them. 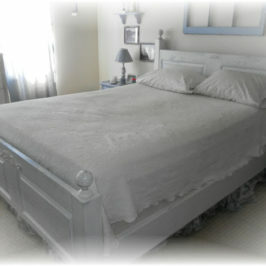 When I pulled them out of the boxes, they looked nice on my upcycled night stands but the shades were a bit plain. 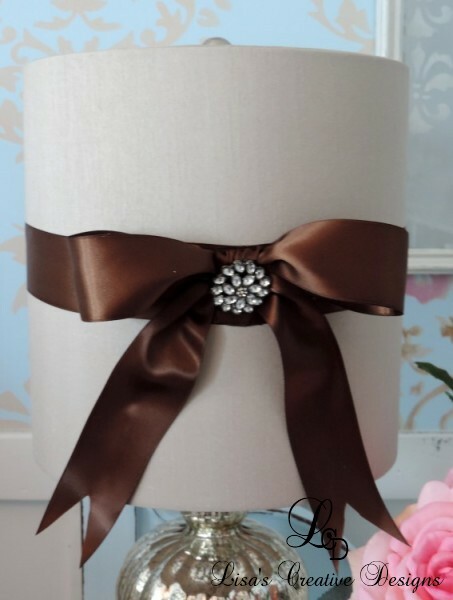 With just a couple of yards of chocolate brown satin ribbon and large rhinestone buttons I gave these lamps a new look and a bit more glam and elegance. To create the look yourself, begin by gluing ribbon around the circumference of the lampshade with craft glue. Let the glue dry. In the meantime, with another piece of ribbon create a large bow. Hot glue the finished bow to the shade on top of the other piece of ribbon where the ends meet or secure it with more craft glue. 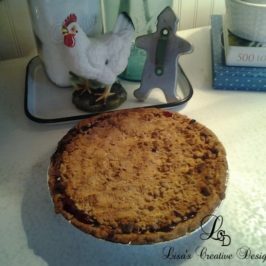 You can hold it in place with some tape or a clothespin while the glue dries. Finish it off by gluing the rhinestone button to the center of the bow. When completed, your boring, plain lampshade will have a whole new look! Here’s another shade I did about a month ago. 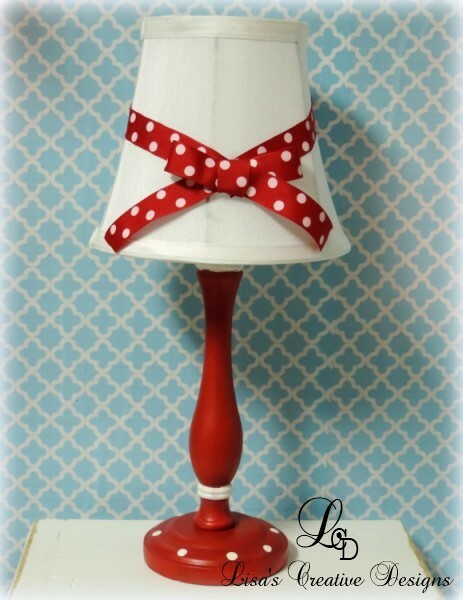 The red and white polka dotted ribbon really brings this hand painted whimsical lamp to life and you know how I LOVE red and white polka dots! 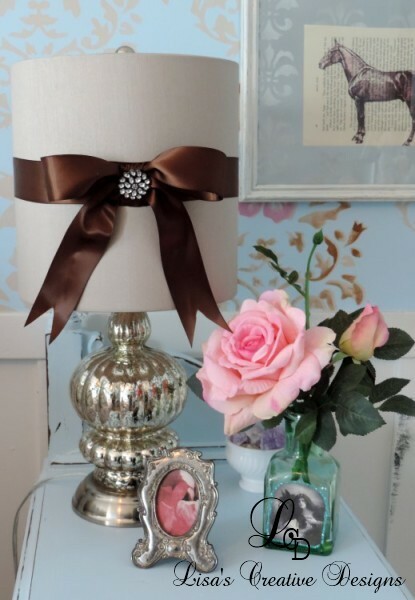 You can jazz up your lampshades one step further by adding a large silk flower to the center, on top of the ribbon. 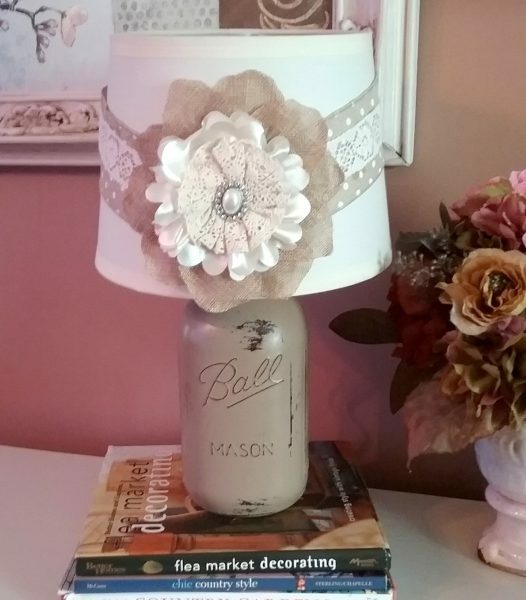 I love the burlap and crocheted lace flower on this mason jar table lamp I made. The rhinestone button in the center of the flower gives this country inspired lamp a hint of elegance. Here is another example of a lamp shade with flower power. 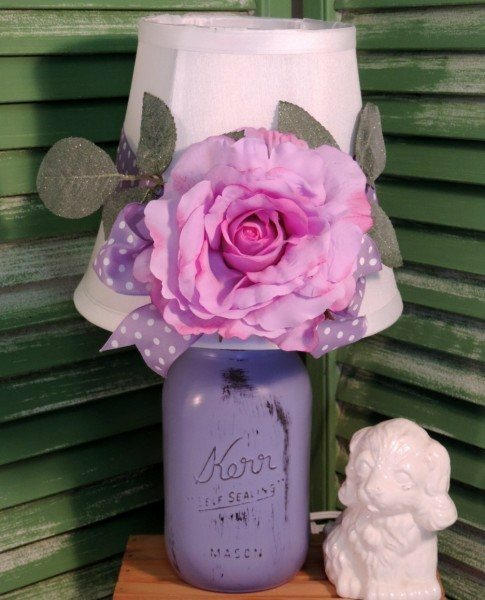 This purple mason jar lamp features a shade that was embellished with a beautiful purple rose. I sprinkled the leaves with glitter for a little sparkle. You can add flowers to any lampshade with craft glue. Secure everything with clothespins or tape while the glue dries. I do not recommend using hot glue as it may melt when the lamp is turned on. You can decoupage a fabric lampshade with decorative paper as well. 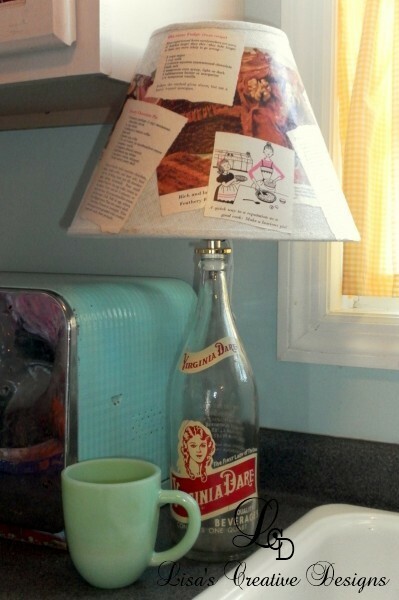 In the lamp below I decoupaged the shade of this fun upcycled bottle lamp with recipes and pictures from a vintage cook book. It is perfect for a vintage style kitchen. 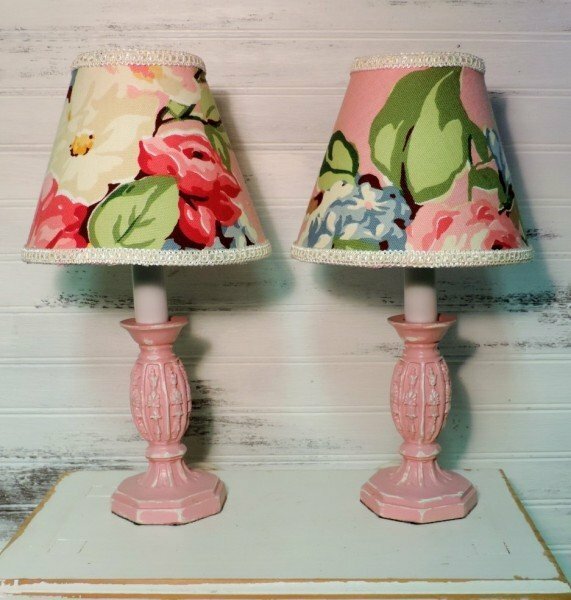 You can instantly dress up plain lampshades by wrapping them in fabric.You can even purchase adhesive backed lampshades at your local craft store! Paint is a quick and easy way to dress up a boring lampshade. 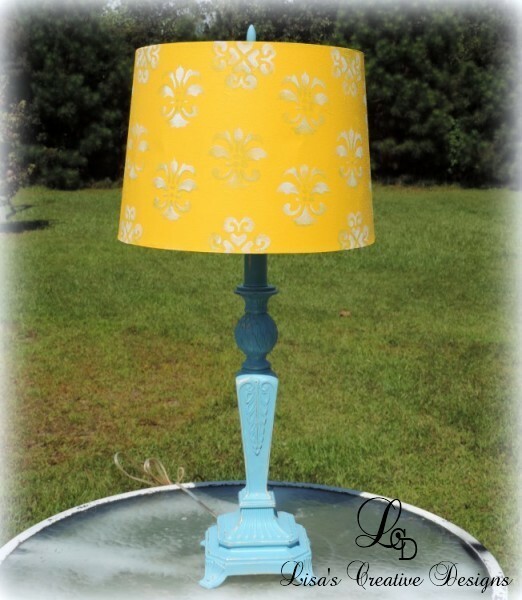 I painted this vintage cast iron pineapple lamp a pretty turquoise blue. I painted the fabric shade in a bright yellow and then stenciled a design in white for added interest. When painting a fabric shade I always water down the paint a little bit. This makes the paint soak into the shade much easier. Hi! Stopping over from the Say G’day Saturday party. 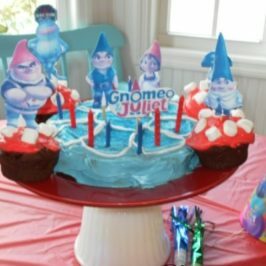 This is such a great idea, and so easy. I love that satiny brown ribbon with the bling in the middle. I bet I have a lampshade or two that could benefit from this treatment. Great idea! 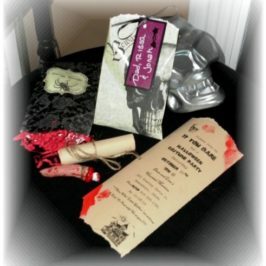 Thanks for sharing it at the Say G’day linky party.